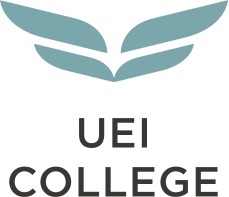 At UEI College and United Education Institute, our supportive faculty and staff are committed to helping you build a life and a future you can be proud of! We have dedicated financial aid representatives who will meet with you one-on one-to help you explore your payment options. Tutoring is available for when you need extra help and once it’s time to look for jobs, a dedicated career services representative will help you with your resume, interview skills and employer connections! *Timing varies by program. | **UEI does not promise or guarantee employment to any student or graduate. | ***Not all programs are eligible. | Program offerings vary by campus. If you enjoy working with your hands, UEI’s Heating, Ventilation & Air Conditioning Technician program might be right for you. Enroll today and you’ll be prepared for a new career in as few as 11 months! Get the experience you need to pursue entry-level employment in the HVAC field by working with hands-on lab simulations that give you a better understanding of field service work. Program offerings vary by campus. | *Not all programs are eligible. | **UEI does not promise or guarantee employment to any student or graduate. With a diploma in our Criminal Justice program, you are able to pursue a career that is focused on the improvement and safety of your community. UEI’s Criminal Justice diploma can prepare you to enter the workforce in a variety of entry-level criminal justice and security positions. Get on the path today towards a rewarding and exciting career. Medical records are an essential part of quality patient care. UEI’s Medical Billing and Insurance Coding diploma program can help you train for a career where you’ll play an important role in a medical office. Are you interested in becoming a Dental Assistant? UEI has a Dental Assistant program that offers hands on training and an externship program to get real-world experience. Train to work in a clinical or office setting. You’ll learn clinical, radiographic and preventive dentistry procedures. Upon graduation, you’ll be prepared for an entry level dental assisting position! At UEI you’ll get the training you need to start your career as a Medical Assistant. In your new career you’ll be able to help others while you enjoy a rewarding career! In our medical assistant program, you’ll be trained in subjects including CPR, pharmacology, insurance coding, medical laws and ethics and office procedures. As a student you’ll enjoy hands on training, experienced instructors and the real world experience of an externship. As a graduate, you’ll be prepared for an entry-level medical assisting career. If you enjoy working with people in an important field, UEI’s Pharmacy Technician program may be the answer for you. Pharmacy Technicians are in demand in places like clinics, drugstores, in-store pharmacies and mail-order pharmacies. Skilled workers are needed to fill these positions and handle the responsibility that comes with working in a pharmaceutical setting. Our Pharmacy Technician program can prepare you for the career you want. Careers in this field may require fingerprinting and a criminal background check. | Program offerings vary by campus. | *UEI does not promise or guarantee employment to any student or graduate. A rewarding and challenging automotive career can be yours with training from UEI College. Get the knowledge and skills you need to excel in an automotive career. Pursue a career you can feel passionate about by enrolling in our Automotive Technician program. This UEI College program covers basic through advanced automotive techniques, preparing you for an entry-level career in the automotive industry. For important information about the educational debt, earnings, and completion rates of students who attended this program(s) please see our Gainful Employment Disclosures at www.uei.edu/student-consumer-info.